The Ardanaiseig Hotel is located on the beautiful banks of Loch Awe and is 21 miles from the ruined Kilchurn Castle and 22 miles from Ben Cruachan. It was built in 1834 with a clourful history and is now owned by Bennie Gray who bought the property in 1995. The drive from Edinburgh took approx. three hours however the journey passed very quickly because the scenery en route is just so beautiful. And as you loop in on the final approach you can almost see the hotel across the Loch – tucked away behind the trees. Hidden from the world around it. This notion of solitude becomes even more evident the further you travel up the single lane bumpy country road that leads the to hotel. The entrance gateposts are rickety – not what you’d expect to welcome you from an award winning 4-Star Two AA Rosettes hotel. The rambling gardens and colourful wild flowers are a refreshing change to the perfectly manicured lawns that edge even more perfectly manicured golf courses of many of the luxury we hotels we visit. 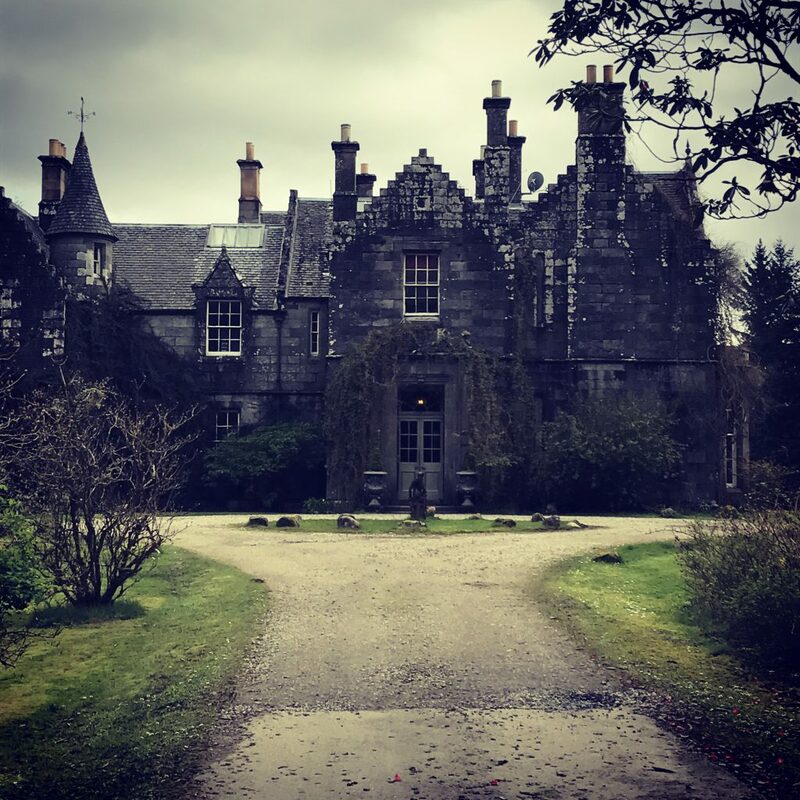 My first glimpse of the hotel stirs mixed emotions; it looks so spooky I’ll never sleep a wink quickly overshadowed by its ancient quirky charm. I’m instantly intrigued and cannot wait to venture inside. We park the car in the small car park and as we unload we can hear an unfamiliar buzzing sound. After a pause or two we realise the sound is coming from the bright flowers high above us clearly these bees were very busy. This was to be the first of many moments when nature would surprise and delight a city dweller, such as myself, with life’s simple pleasures. The car park is just a moment’s walk from the main entrance of the hotel although there is a small turning circle in front of the hotel should you chose to unload the car there. We received a warm welcome from David the Duty Manager who showed us to the drawing room while he checked if our room was ready. 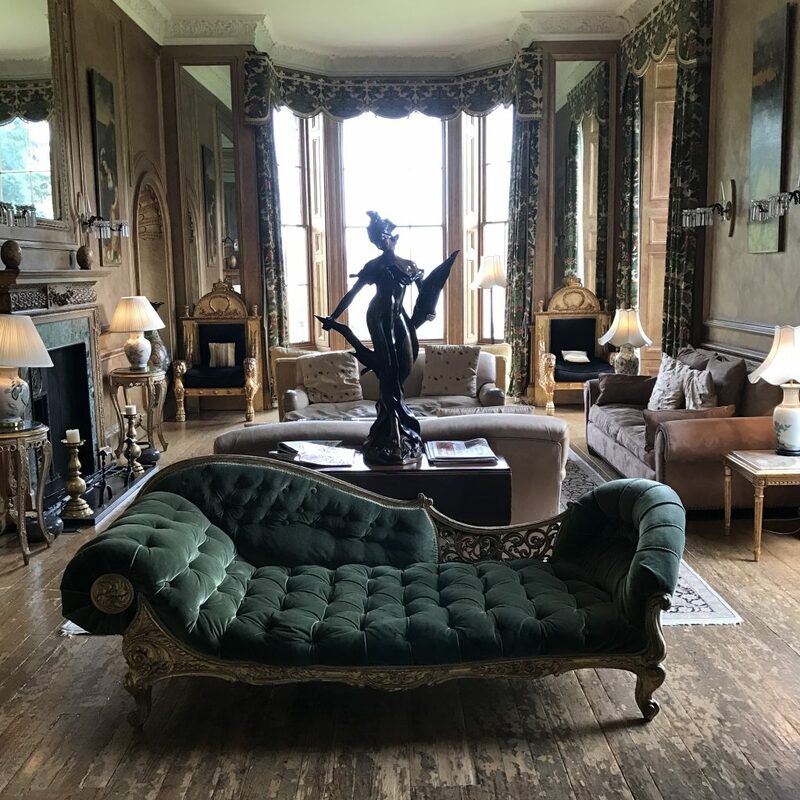 The drawing room ran the width of the entire hotel and presented an array of historical arts, statues and artefacts from around the world including a piano which guest are welcome to tinkle on. 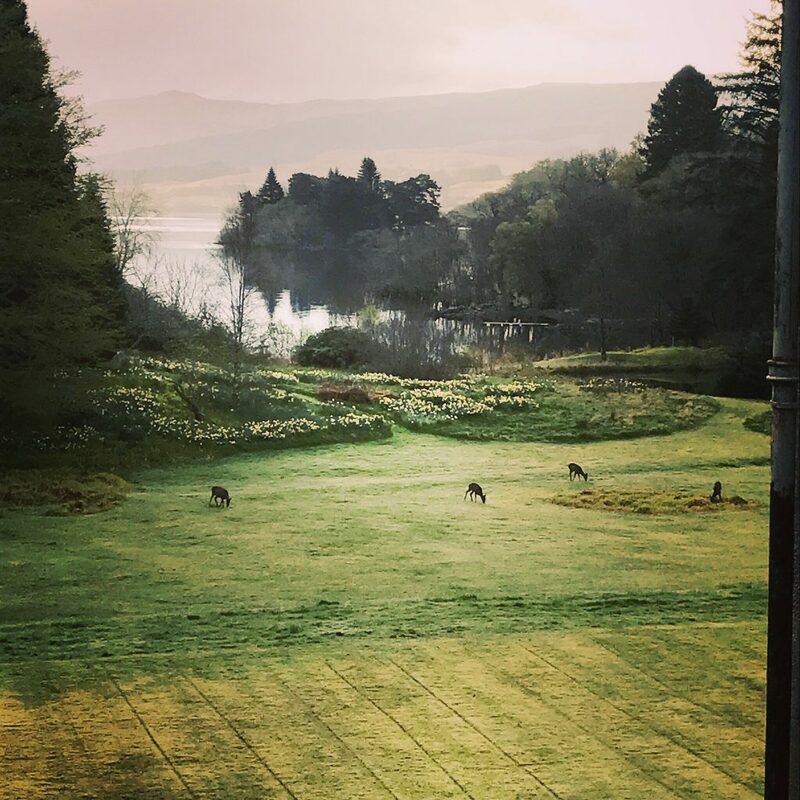 The view from the drawing room was another one of those moments where nature unveiled itself in full glory with a stunning view across the gardens to the lake and to the vast mountain-like hills beyond. We arrived two hours prior to official check-in but the room was prepared for us. Each of the rooms are named after a Scottish place with the exception of one room, which is named after the current owner of the hotel. Oil paintings, busts and vases, make for an eclectic collection, belonging to the current owner adorn the corridor walls which we walk through to reach our room located on the second floor. Our base for the night was Kilchurn (named after a local ruined castle) and was decorated with rich purples and deep hues associated with royalty and noblemen of days gone by. The room definitely had an antiquated feel with period furniture (I’m not sure which period – a mix I think) adding to its character. Despite the draught encouraging original sash and case windows the room was still warm. At one end of the room an enormous four-poster bed was the crowing glory of the room – quite literally as I certainly felt like a Princess the moment I clambered in and I pulled up the heavy duvet and throw. We had our toddler son with us on this Ardanaiseig adventure and the team at the hotel had put up a travel cot with a blanket in for him. The bathroom was clean with a shower in a very big bath. Considering the age of the hotel the water pressure and temperature were both excellent. I say the bed was the crowning glory of the room; I may have to retract that statement. 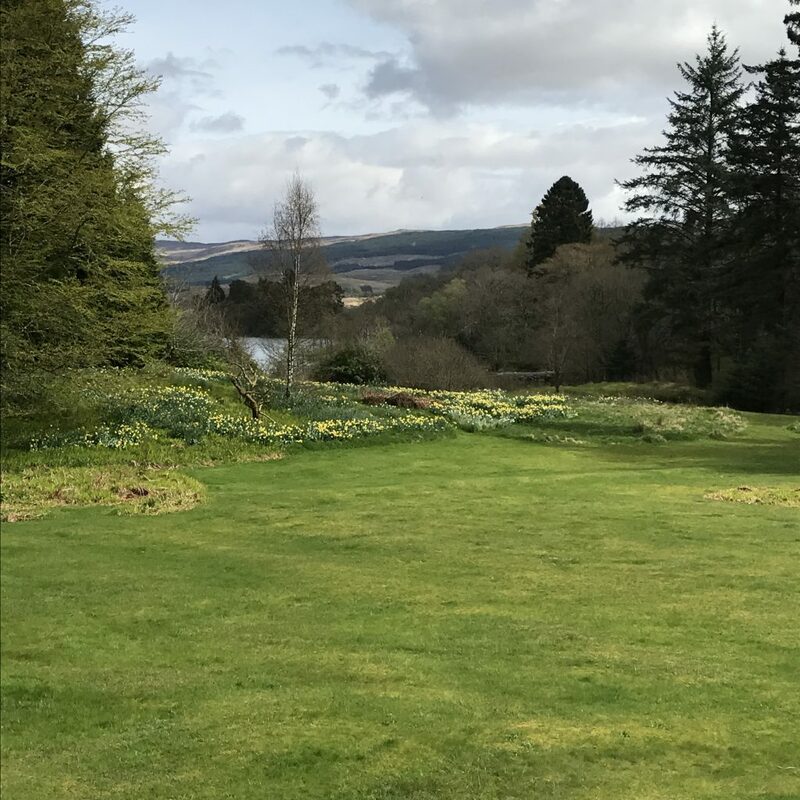 The view across the gardens and the Loch was stunning and became even more breath taking the longer we stayed. More details to follow. 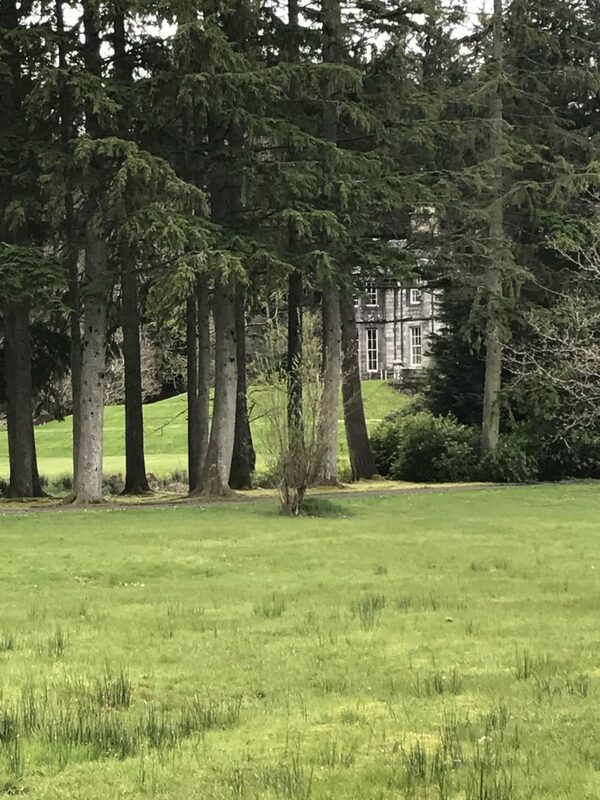 Located in over 120 acres of land on the side of a Loch we were eager to explore what was beyond the walls of the hotel. So wellies on (Simon forgot to bring his but no problem as the hotel kindly supply them for guests in all sizes) we set off for an adventure. 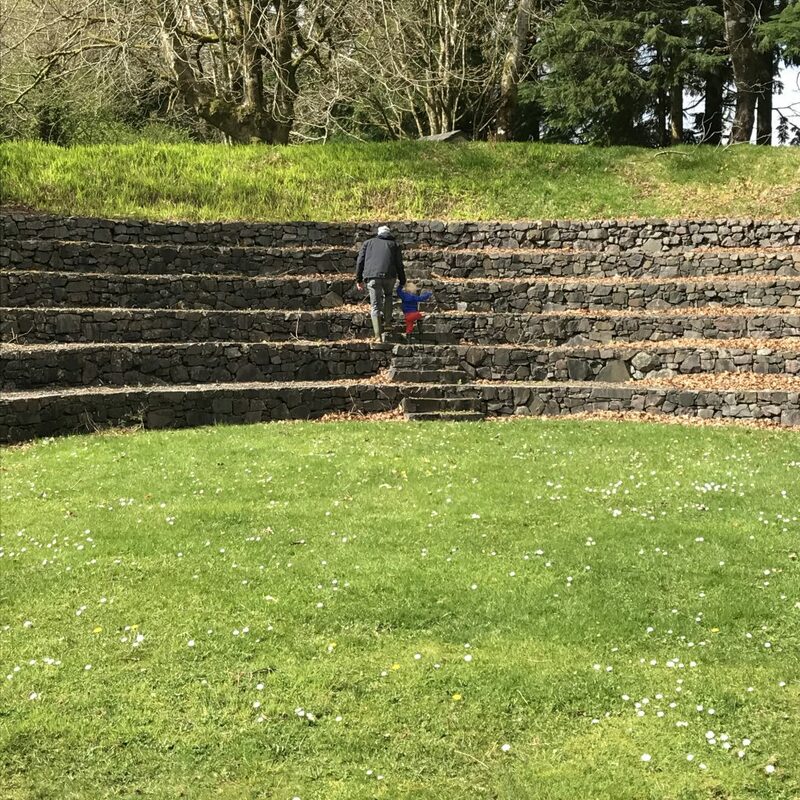 Heading across the garden towards the Loch we quickly discovered an Amphitheatre. Intrigued by the unusual feature we asked what the story behind it is and were informed that when the current owner, Bennie Grey, first purchased the hotel in 1995 it was the mysterious hillock on the edge of Loch Awe which resonated most deeply for him and he himself questions what this strange depression in the land was; a former Druidic ritual site, or spiritual meeting-point for the polytheistic Celts of yesteryear? Five years later, using historical research and dry-stone wall specialists, Bennie was able to excavate the site and recreate the structure that he had imagined so voraciously was once there and 17 years later, beautifully dilapidated, the Amphitheatre has molded perfectly into the surroundings and looks like a true relic of the past. This is the perfect setting for guests getting married at the hotel for an outdoor wedding, which may contribute to the hotel’s accolade of ‘Intimate Wedding Hotel of the Year’ award (2007-2012). After counting the steps in the amphitheatre we then splodged around in the lake, we had hoped to hire a boat but unfortunately the boatman wasn’t there. We were offered to take one out on the Sunday but our own personal logistics didn’t permit. After much stone skimming, I’d forgotten how much enjoyment this humble game can bring, another nod to Mother Nature’s simple pleasures we ventured through the overgrown gardens and moss covered trees where climbing and stream jumping and bog leaping and mud squelching were the order of the day. We did this for over three hours, as we had a toddler with us I’m not sure how many acres we covered but with every step we felt like we were treading on memories and eventful stories of the many generations who had walked here before us over two centuries ago. It sounds somewhat dramatic but even the trees felt like they were whispering a story in our ears as we passed by or in some cases over them. 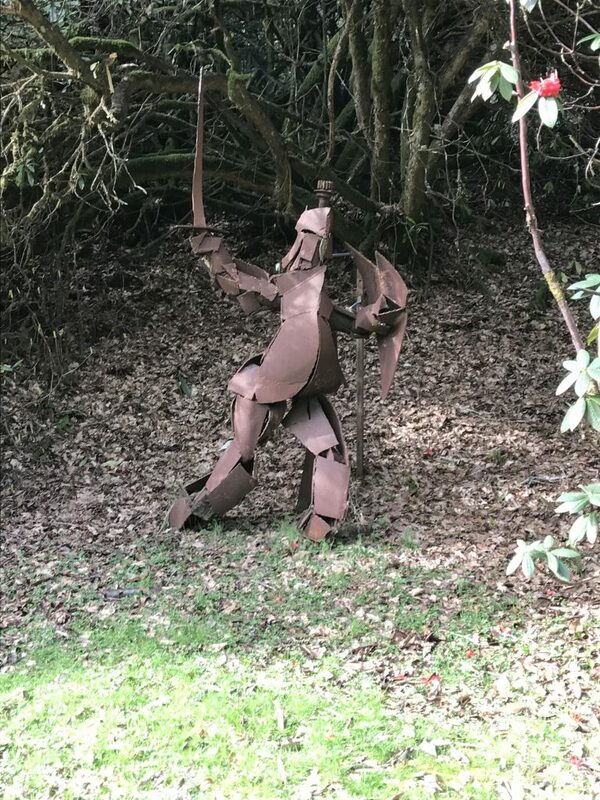 The random outdoor statues strategically placed throughout the grounds also added to the air of mystery. We eventually reached the Walled Garden, which is up a small clearing opposite the hotel. 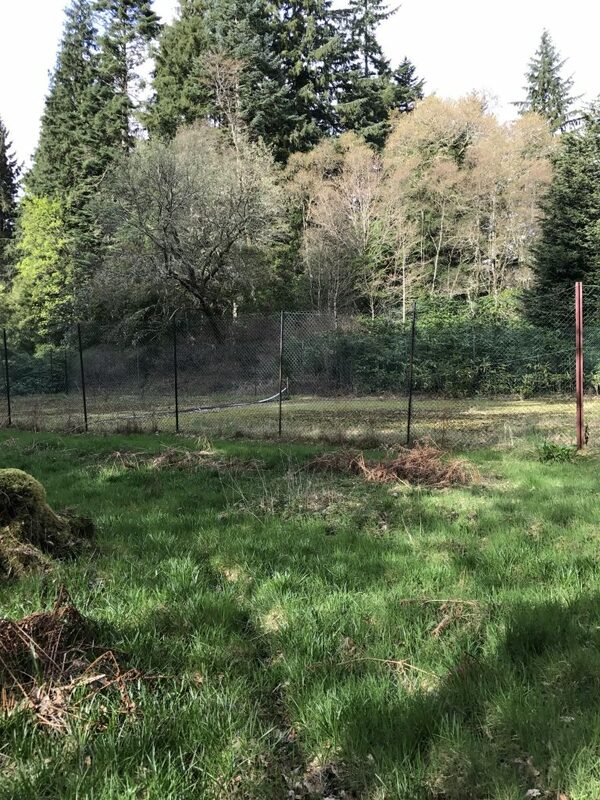 The sign on the gate requests that guests ensure the gate is closed to avoid deer damage. We obeyed Mother Nature’s request without question. The Walled Garden was dilapidated with an old green house that once was a modern feature of the garden. It was also home to an old wishing well which was secured with chicken wire. I could imagine that once this was a beautiful place for the lady of the house to stroll and enjoy some fresh air but sadly now it was no longer the case. It did have a very eerie feel to it and some of the other guests also commented on that too. Spooky! We followed the map of the grounds to the tennis court but almost missed it due to the wild and roaming nature of the grounds. Now I must note here that the hotel does not promote that it has tennis courts and a good job too as I don’t think the umpire could tell whether the ball would be in or out! See pic below. 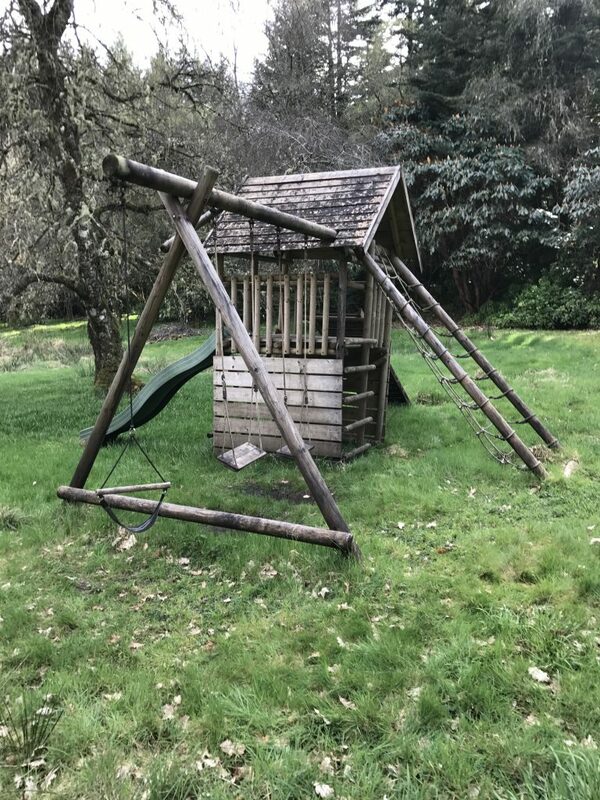 There was also a small area with a slide, swing and climbing house for children to play on. We had some good fun down here, however it was very rickety and I was convinced the swing wouldn’t take my seven stone frame. In a weird way though it really added to the charm of this place. An a la carte menu is served in the main restaurant from 7pm, however this was very formal and we didn’t feel it was appropriate to take an energetic two year old there so we opted for a bite to eat in the small bar area. We chose from the bar menu which comprised of a selection of baguettes, fish and chips or chicken burger. We opted for the fish and twice cooked chips and I have to say they were absolutely delicious. I usually have a tantrum if fish and chips aren’t served with mushy peas but I didn’t even notice. I don’t usually like tartar sauce but this was scrumptious clearly homemade with chunks of gherkin. The Children’s Menu was served until 6pm however we were a bit late but that wasn’t a problem and the team kindly ensured the little man could chose something from this. He chose fish goujons and twice cooked chips and like the fish the goujons were big, white, succulent pieces of proper fresh fish. There wasn’t officially any desserts on the bar menu, however David kindly arranged for us to enjoy sticky toffee pudding with ice cream. Delicious! A variety of Scottish beers are on offer along with a short but varied wine list. A good selection of other spirits – with different micro style labels as well as the better-known names. Breakfast was served in the main restaurant and comprised of relatively small bowls of cereals and fruits and small plates of pastries that were regularly replenished. I like this as it means there’s less chance of someone else poking a pastry before you eat it and gives that sense that food is fresh! 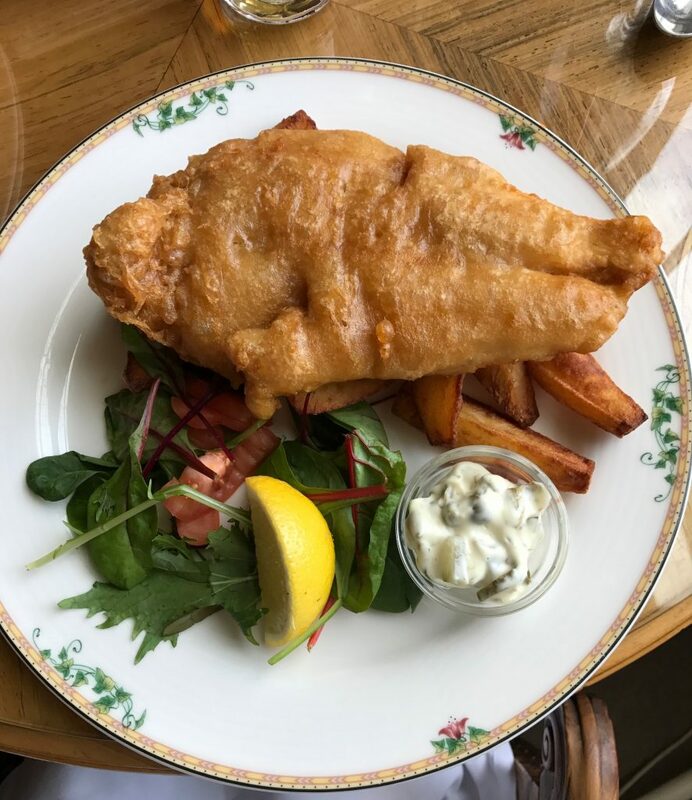 Guests can choose from a hot menu too, which included kippers, haddock, free range boiled egg, porridge and a full Scottish. I was a bit fished out so chose porridge, which I topped with the deliciously slightly zesty and very sticky apricots. I forgot to ask what they’d been soaked in but whatever it was I couldn’t get enough of them! Plenty of tea, coffee and toast were brought to the table. We were the first to breakfast so were lucky enough to secure a window seat which offered the wonderful view we’d grown to love over the last 24 hours. What constitutes luxury is highly subjective and widely open to debate. If your kind of luxury is city style modern, sleek and high tech then this is definitely not the place for you. I personally wouldn’t describe the hotel or any of the individual entities that make up the estate as stereotypical modern luxury. 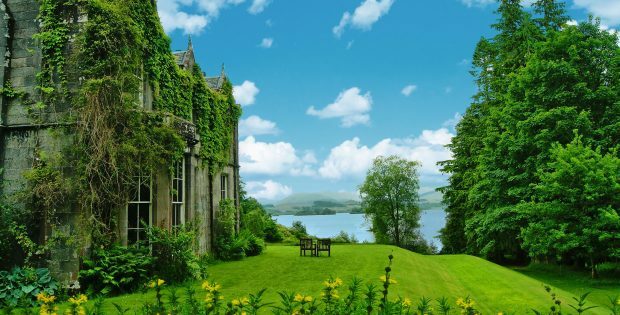 However the feeling of retreating to a place that was clearly once very majestic but is now a place that time seems to have forgotten is highly unique. Combining this feeling with the immense tranquillity and remoteness; where only nature interrupts your thoughts was a luxury I haven’t encountered for a very long time and because of this I would describe the overall experience as a unique and quirky old world type of luxury. The team of staff were very helpful and couldn’t do enough to make us and the other guests comfortable. I am thrilled that I have experienced an Ardanaiseig adventure. Although time may have forgotten this place I certainly will not. Prices vary so best to check directly with the hotel. 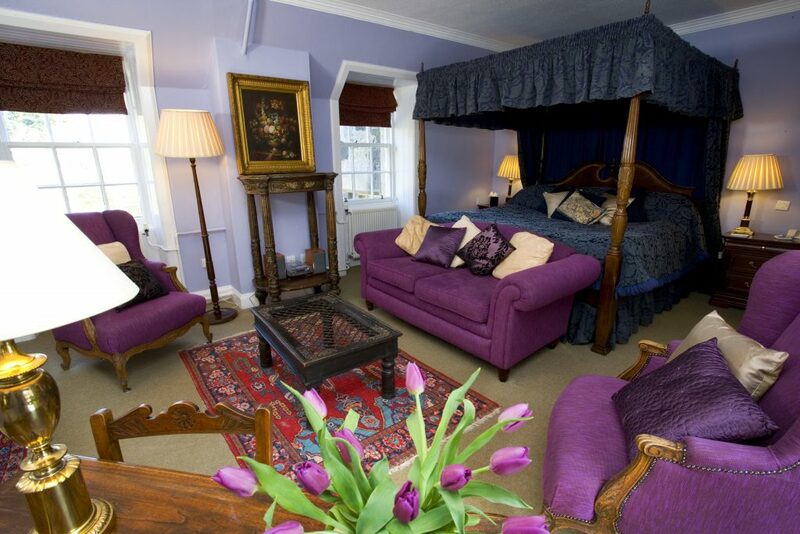 Approx from £250.00 per room with breakfast.